Zee Malachi goes into detail about being careful of making the products yourself and only use the best of ingredients as Dr. Sebi has. Dr. Sebi took 18 years learning how to combine the best of herbs and we are so blessed by his knowledge, RIP Dr. Sebi. Do not even contemplate buying the cheapest herbs in your local town or herb store. Many of these herb stores use open bins. Open bins are subject to debris, parasites, flying insects and more and most use the cheapest herbs available. I have linked to the best products I know of on Amazon. 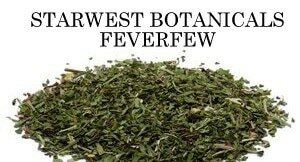 You can also purchase quality herbs from iherb if you are a foreign resident that ships internationally. For the bones and thyroid gland. It is helpful to individuals that suffer from bad breath, pulmonary illnesses, respiratory issues, dysentery. Bromide Plus acts as a natural diuretic, it suppresses the appetite regulates bowels and its helpful in the overall digestive system. YOU CAN BUY BROMIDE PLUS IN POWDER OR CAPSULES AT DR. SEBI'S STORE HERE COST AT THE STORE IS $30 FOR 90 CAPSULES OR 9 OUNCES OF POWDER. Suggested dosage is 4 capsules daily and so there is enough capsules for 20 days. Bardana - Changed from Burdock Root (Diuretic, blood cleanser) - They are the same thing in essence. Recently burdock root (bardana) shown to treat cancer. The reviews on Dr. Sebi's Green Food Plus have been very good and so many talked about how they are healed now and so I was interested. The Bottles of Chelation on Dr. Sebi Webstore contain 90 capsules and if you have to take them 4 a day then the package is good for 21 days. So cost per day is a little over $11. If the Viento and Bio Ferro cost $100, then the cost of Chelation 2 is $150. But now currently they have this on sale for $199. You can purchase the packaged Chelations at Dr. Sebi's Cellfood store Here or make it yourself for a fraction of the cost with the products on the left. According to Dr. Sebi's Cellfood Store: Viento is an Energizer, Revitalizer and is a cleanser. The Key Ingredient is Chaparral (Larrea Tridentate) has been recognized as a powerful antioxidant. Native Americans have used Chaparral to treat various conditions such as respiratory illness, chickenpox, snake bite and arthritis pain. Due to its powerful antioxidant properties, chaparral is a great treating liver wellness, cleansing of blood, improving immunity, weight loss, and overall wellbeing. It has also been used to treat digestive problems such as cramps and gas, and respiratory tract conditions. Irish Sea Moss - If you want to add this instead of the bladderwrack. There has been a number of changes. First they used Irish Moss, then they switched to bladderwrack and now back again with Irish moss. I used Now Organic Shea Butter in my salve but the unrefinded shea butter has more than 5000 reviews and best sold item on Amazon. NOTE: I TOTALLY DO NOT SEE THE NEED IN TWO OLIVE OILS. YOU CAN BUY THE ITALIAN ONE OR THE MIDDLE EASTERN ONE. Sarsasparilla, Yohimbi, Senisitiva, Capadula, Seamoss and yet one reviewer states on his bottle he received that only Sarsasparilla, Yohimbi, Senisitiva were present. Main Ingredients - See my store for best buys on the below herbs. This can be purchased at Dr. Sebi's Store for $50 - dosage is 3 capsules in the AM and PM or a total of 6 capsules per day. 90 capsules in the bottle means you have enough for 15 days.